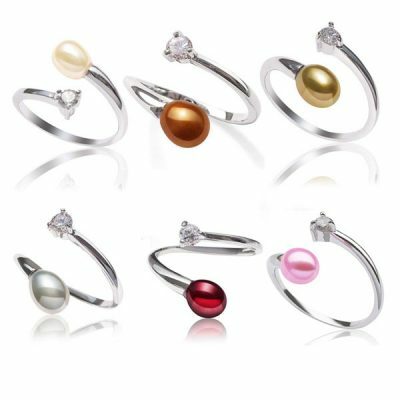 PEARL EARRING WEEK – SHOP CHRISTMAS SALES! It’s pearl earring week at Oriental Pearls, and we have some of the best early bird shopper deals for Christmas – including both pearl earrings and other earring styles from our stock that are on sale just for you! These flower shaped coin pearls are hard to come by making these earrings not only lovely but also unique. These pair of earrings feature 14-15mm flower shaped coin pearls which are set in 925 sterling silver studs. Each pair of earrings has an approximate weight of 3.5 grams. You can even get a matching necklace! This beautiful pair of dangling earrings is set in pure 925 sterling silver wires for pierced ears, so even the most sensitive ears can wear them and the pins which are used to hold pearls are made of base metal. There are four color combinations available for you to choose from: white, pink, mauve and black. The white pearl earrings are made of 5-6mm semi-round pearls, 5-6mm rice pearls, 8-9mm rice pearls, 11-12mm coin pearls, 6mm and 8mm white coral beads. Designed by our jewelry designer, this is a piece you won`t find anywhere else! Be ready to stand out in the crowd while wearing these gorgeous earrings. These earrings are made of 5-6mm round coral beads and 925 silver heart link chain and ear wires. This feminine and beautifully graceful pair of earrings is made with 5-6mm rice pearls in French wire style and measures 2″ long with an approximate weight of 13grams. The earrings are dangling and set in pure 925 sterling silver wires for pierced ears, so even the most sensitive ears can wear them and the pins which are used to hold pearls are base metal. There are six tiny round Cz diamonds in the half heart prong setting. These earrings have an approximate size of 3/8″ x 1/4″. As with all of our products, the silver earrings has 3 layers of 18k white gold over sterling silver to avoid tarnishing and protect sensitive skin. 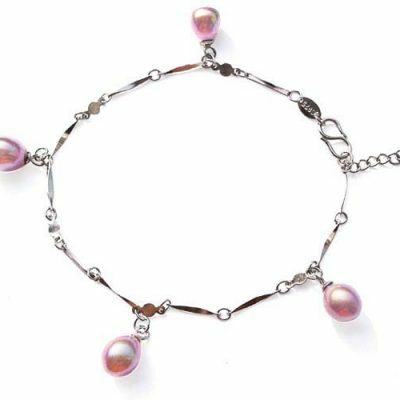 Made of genuine two 6-7mm button pearls, and four 7-8mm dangling pearls, linked by silver, and set in silver posts and ear backs for total femininity!